Here we have received word that five famous Internet profiles will be going up against one another to emerge as the winner in what is deemed to be the world’s first radio controlled headphone race. This is a unique race that was created by the Urbanears collective, where players will settle the score using their very own 3D-printed heads on wheels from this coming June 2nd onward. The heads themselves will be controlled through wireless headphones equipped with sound controlled technology, which have been specially developed for the ‘Radio Heads’ race. Just to get a better idea on who the rest of the contestants are, they are Tobygames, Anna Akana and Strawburry17, and it is amazing to know that each of them happen to run popular channels on YouTube, and with the rest of the contestants ganging up, it would add up to a total of more than 10 million subscribers. Each player will race with a life-size replica of his or her own head, and this unique replica is made of 3D printed plastic. The heads are then mounted on four-wheel platforms from radio-controlled cars which will be controlled by the players. 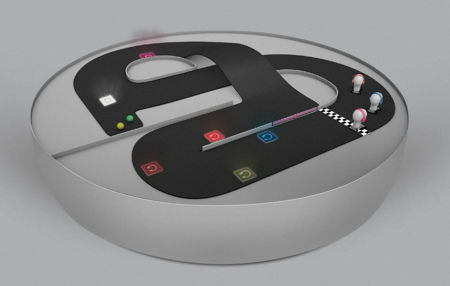 In order for this game to be made a possibility, unique sound steering technology has been developed. The wheeled heads happen to be controlled by sound, through wireless headphones with Bluetooth technology. As for the driver, he or she will steer and regulate the head’s speed simply by panning the channels and adjusting the volume using controls on a set of headphones. Sounds like a whole lot of fun to us for sure! This special and one-of-a-kind race will be live streamed on YouTube and on urbanears.com/radioheads, allowing viewers to interact by tweeting and cheering messages to their favorite player via #radioheads. Of course, since this is a promotional event, there is also the chance to win more than 1,000 pairs of headphones, now how about that? Definitely one of the wackier “race toys/games” we’ve seen to date.